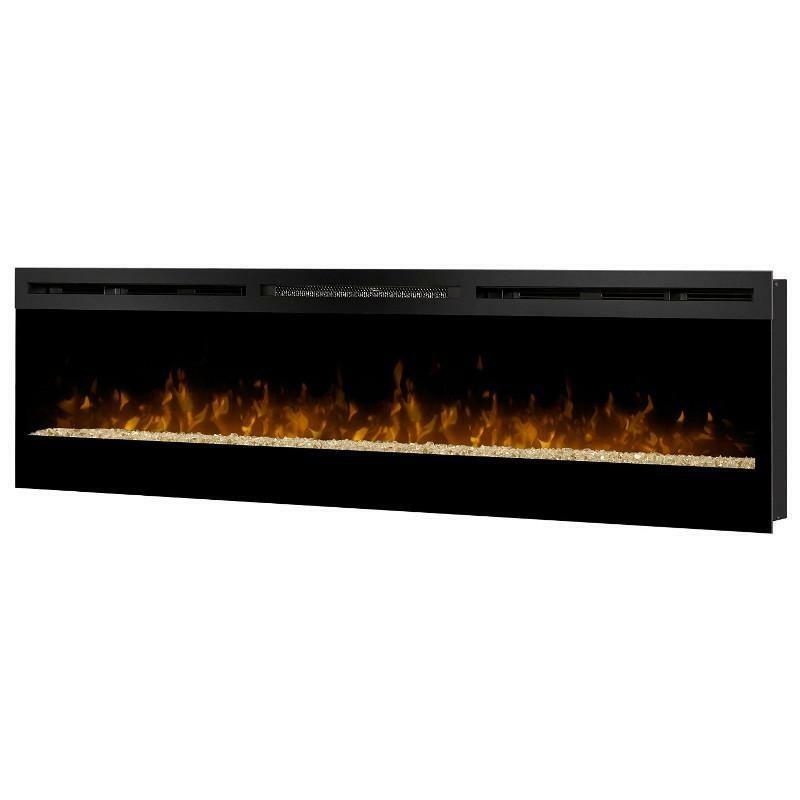 The Dimplex LED flame dances on a bed of crushed and silvered glass pieces creating a stunning effect that cannot be matched. 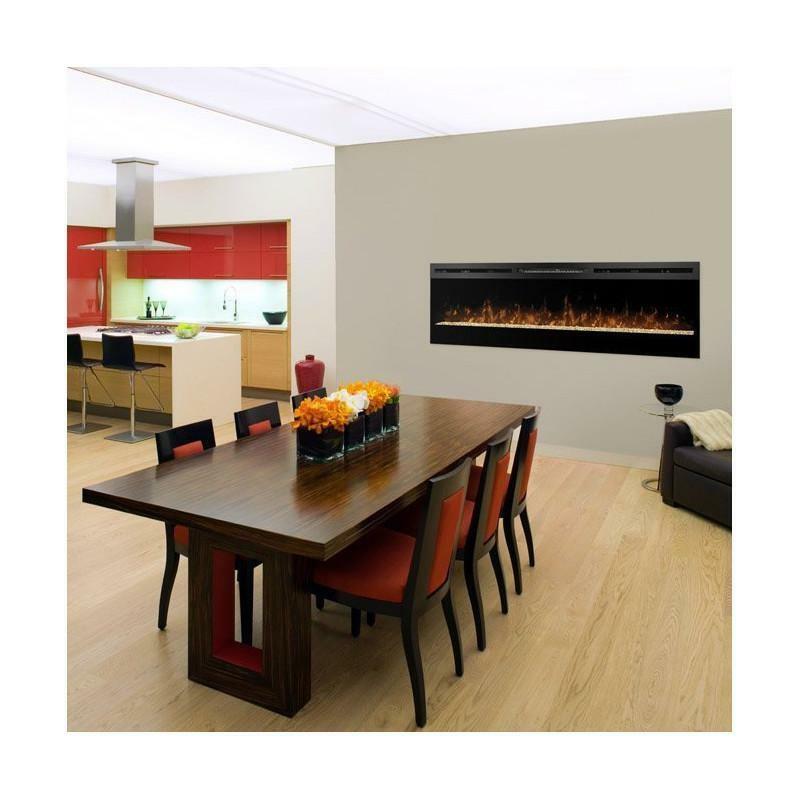 The heat that warms your room comes from the front of the fireplace allowing our sleek and elegant design to be installed snug to the wall. 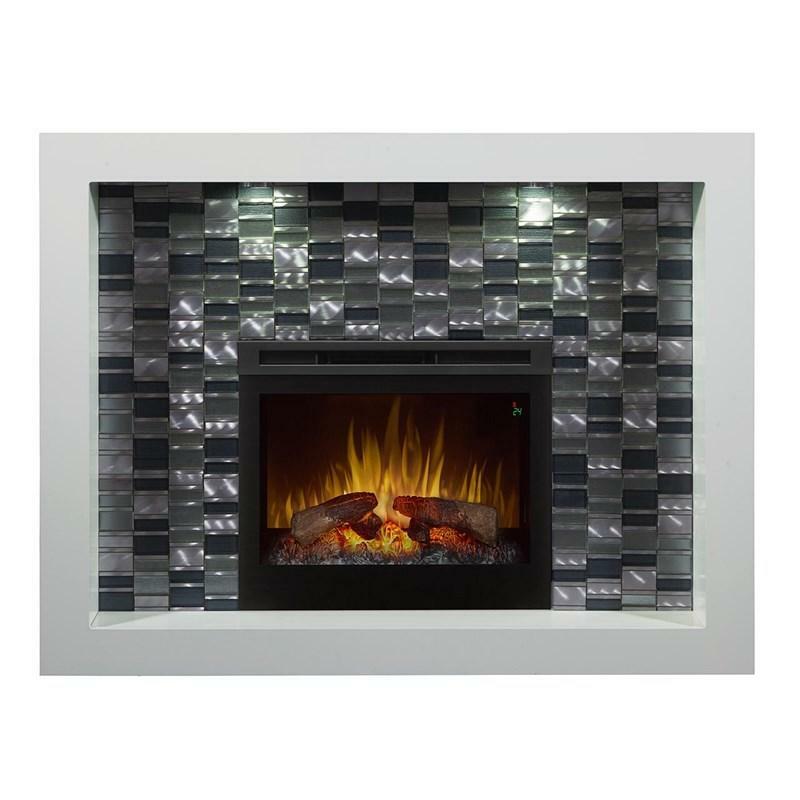 The Galveston fireplace can be recessed into or mounted onto a wall. Versatile and beautiful. 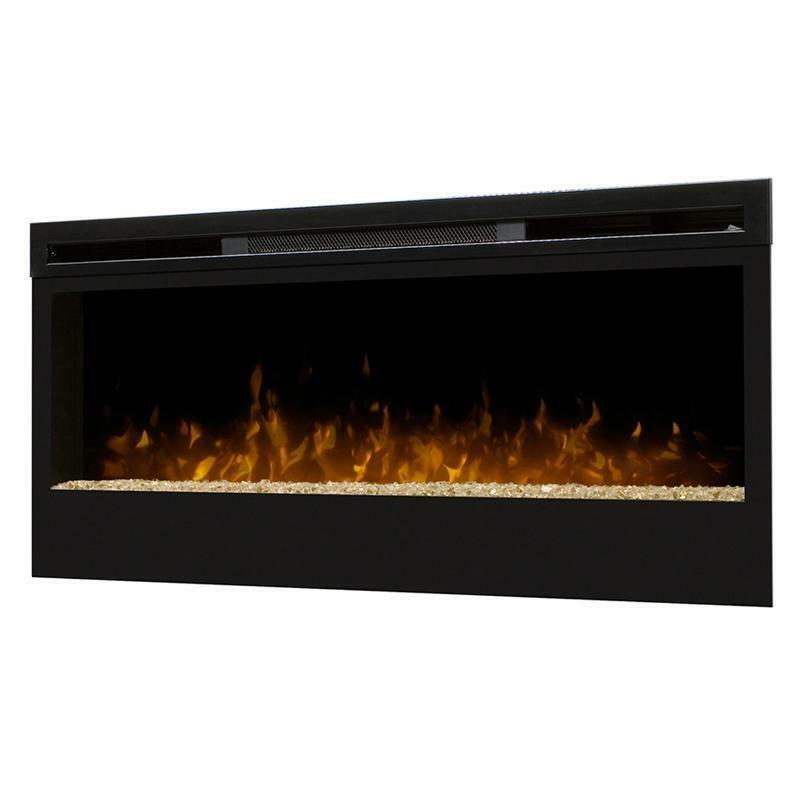 Additional Information Volts: 120/240; Glass ember bed.